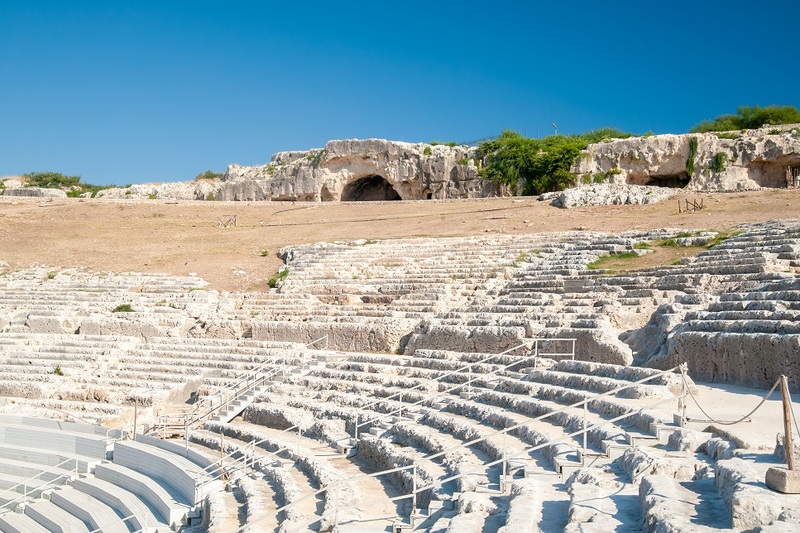 Syracuse’s position as the most important city of Magna Graecia explains the extraordinary archaeological site to the north of the town. 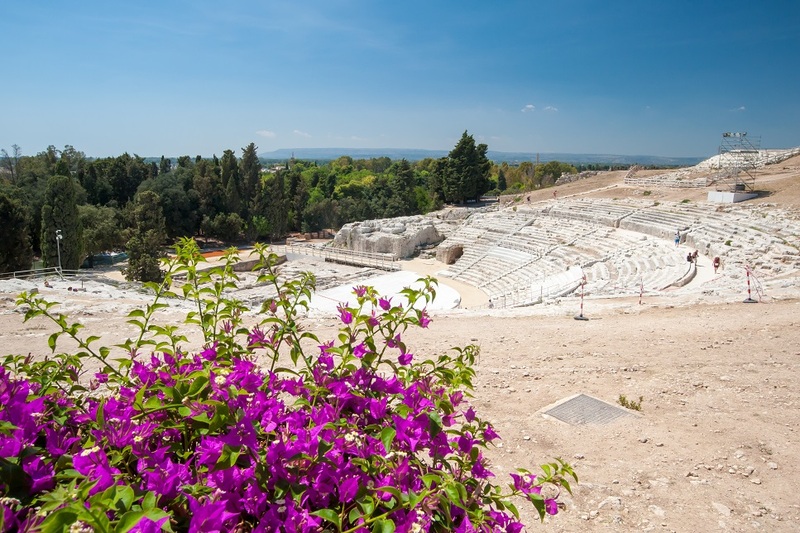 One of the largest of its kind, the Greek Theatre is set within the Archaeological Park of Neapolis which houses several impressive Greek and Roman Remains. Allow around two to three hours for the Park visit. 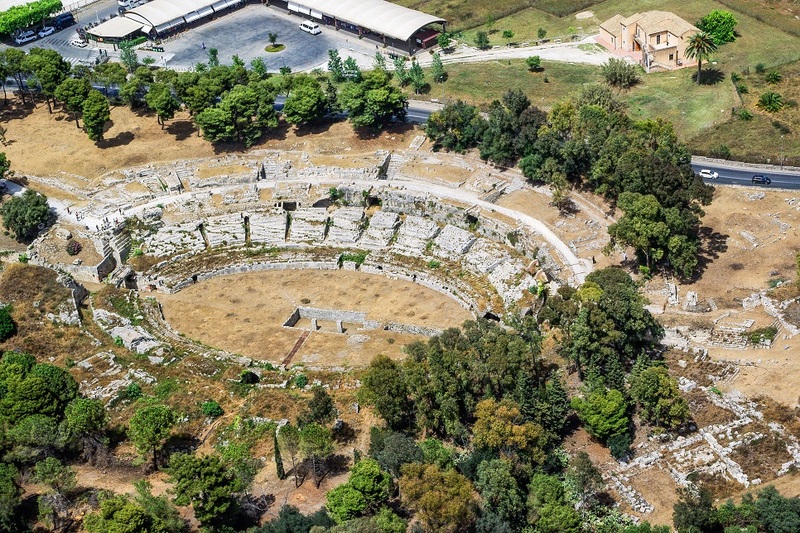 Built in the fifth century BC, the Greek Theatre is one of the largest in the world, reaching a diameter of just under 140m and the likely setting for the works of Aeschylus and other Ancient Greek tragedies. 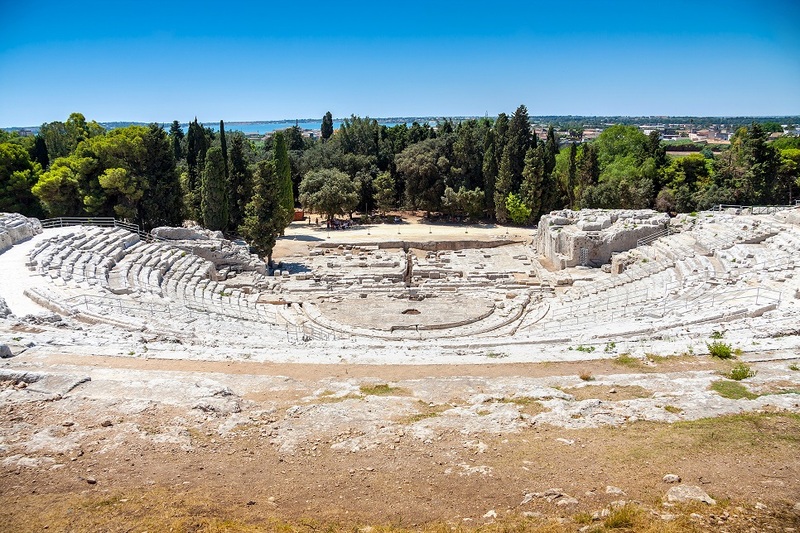 Syracuse’s Greek Theatre is still home to a tremendous festival of Greek plays in May and June each year. Visit INDA for more information on the Festival. If you are in Syracuse during the Festival of classical plays, these are very spectacular but visiting at other times, when the atmosphere is free of grandstand seating, is equally rewarding. 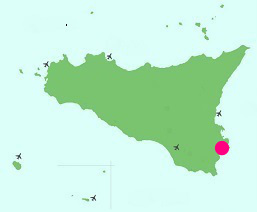 To the east of the Greek Theatre, the Latomie del Paradiso (stone quarries) comprise the ancient caves of the Orecchio di Dionisio (Ear of Dionysius) and the Grotta dei Cordari. 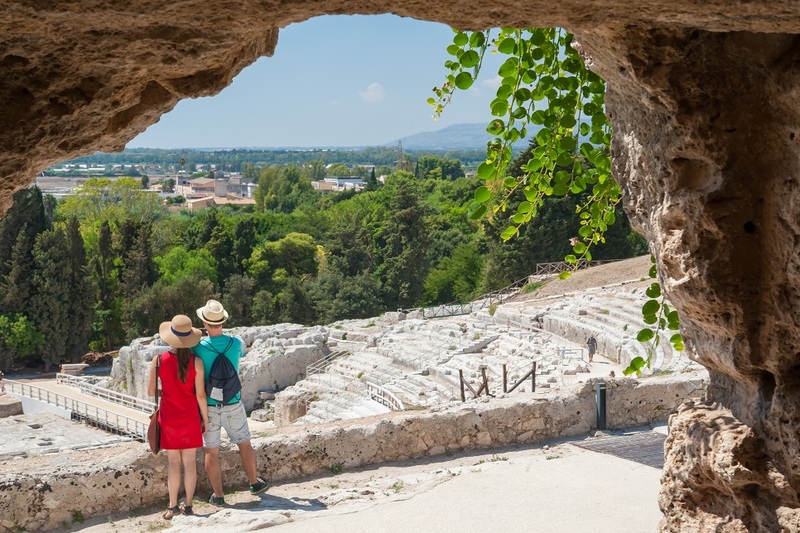 Once used to house prisoners of war captured by Dionysius I, the quarries are now filled with the scent of lemon groves. A Roman amphitheatre, now overgrown, stands just outside the main park but visits are included in the main entry ticket to the Archaeological Park. 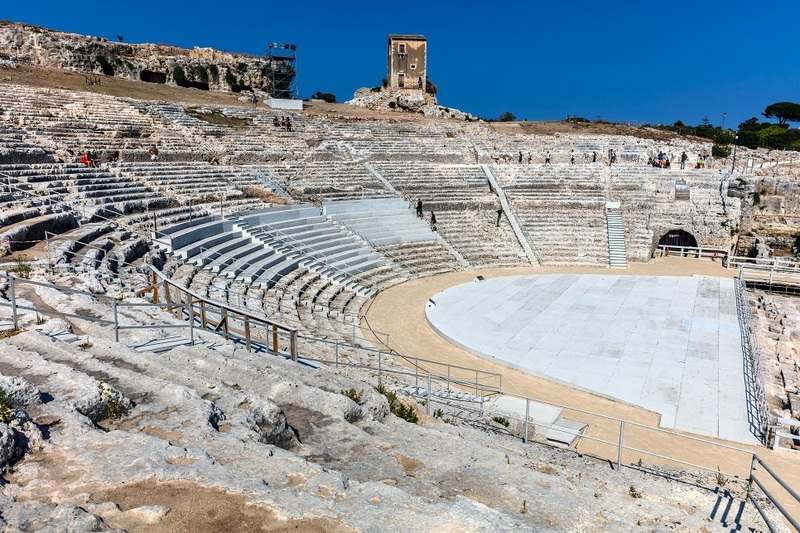 Once the scene of bloody gladiator fights, the 140m amphitheatre is now used for summer productions. Other monuments within the Park include the Altar of Hieron II, a large rectangular block of stone used for the ritual sacrifice of bulls to the god Zeus.